The RoadRunner CUBE comes in 6 trendy colours: black plastic is combined with silver/black/red metal and white plastic – with gold, rose gold and red metal. Choose the one which compliments your image. 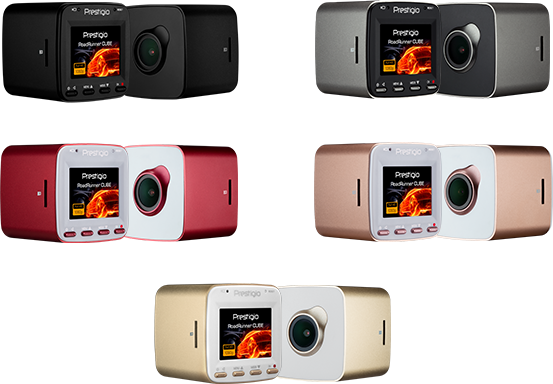 Built-in Wi-Fi Pair your Prestigio RoadRunner CUBE with your smartphone via Wi-Fi and increase its possibilities: view, download or delete recorded images and video, update driving information. Sony image sensor Do not worry about the quality of content in a low-light environment. 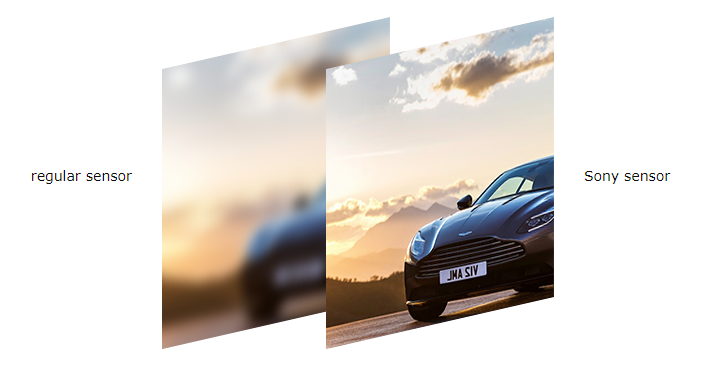 The Sony Sensor provides optimal image quality.